Previously, on MinerBumping... When liberty's rebel alliance was disbanded by its only other remaining director, the New Order hoped to rescue liberty from another decade of mining in highsec. Though Agent Bing Bangboom explained how the destruction of the alliance was her own fault, liberty accused him of bribing the director. liberty meant business. If it took another decade to restore her highsec mining alliance to its once-mediocre status, she would gladly do it. In the meantime, she would root out the traitors from the alliance. That would be the easy part, since everyone had already left. Bing Bangboom > Think back, liberty... have I ever lied to you? Bing tried to reason with liberty. The rogue director had stolen 100 billion isk or more from liberty's alliance. Why would Bing need to bribe him to steal money? 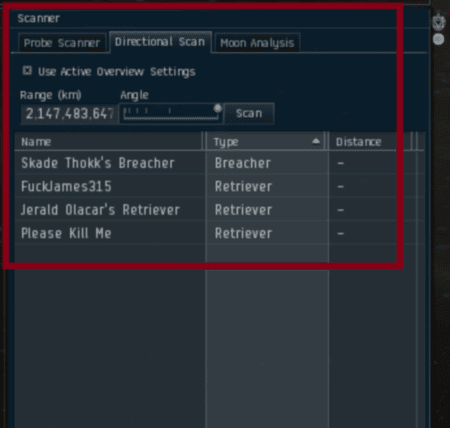 Was the bribe more than 100 billion isk? Tylonal > The Permit is only 10,000,000 isk. Kino local turned into a forum to debate the New Order's contributions to highsec and the validity of the Code. Highsec residents will find this development familiar; it happens everywhere we go. Pretty much every conversation that occurs in a highsec local channel (outside the trade hubs) is about the New Order. liberty railed against me personally. This shouldn't shock anyone, either. My name is often spoken of in highsec. Sometimes for good, sometimes for ill. Agent Malcolm Shinhwa was flying through a random highsec system and happened to hit his scanner, and got this as a result. Even after losing ten years of work, liberty hadn't learned anything. Nor had she acquired any new memes. It was still about the "principle". At what point does someone concede that a principle is faulty? Must liberty lose another decade of work? I fear for her future. Bing Bangboom > Night Caper , liberty is one of the most famous opposers of the New Order. Tylonal > .... 6 months ago? liberty still cherished a killmail of one of Bing's Jaguars from last April. Ironically, the rebel who scored the kill was not liberty, but Syrax Vanity--the director who had stolen everything and disbanded the alliance. Bing Bangboom > that doesn't include what I flew away with. I couldn't fly the Orca so I blew it up. liberty cried foul and demanded Bing explain how he scored those kills. But MinerBumping has already told the story of how Bing inflicted billions of isk worth of damage against liberty when she made her brief attempt to live in a wormhole. Long story short, everything got blown up and liberty was forced to return to highsec. That was right about the time that everyone other than Syrax quit. Reminded of her past defeats, liberty grew angrier. Was this progress? Perhaps liberty was moving through the stages of grief. If so, Bing was there to guide liberty. Or perhaps liberty was simply spiralling out of control. Lets not over link that meme though. Wouldn't want it getting stale. Oh LIberty, how is a mining Permit tyranny while Vehicle Registration is just good governance? Liberty seriously needs to watch what she says, she could break the EULA or something if she's not careful. I'm sure that happened on multiple occasions if CCP were paying attention. I doubt Agents have the time to petition all the abuse they receive via Private Chats or eve mails, let alone comments in local. It's a sad day when Liberty can take up four consecutive posts on Miner Bumping as they're old news. I watched the holiday programme on BBC today where the holiday park manager in a foreign country was blaming everyone but himself for its numerous problems, all very easy to sort out with a bit of training and expenditure. I only petition RL threats. The rest are just funny. I send them all to James so he can shine the light into the dark heart of the supposedly peace loving carebear. Wow, you can't buy publicity like that, must thank Liberty, she is doing more to get the word out about the benefits of flying with permit better than anyone else. Liberty u stand tall. 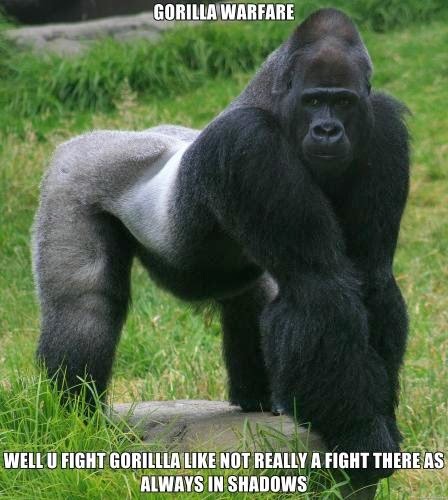 You fight good fight not gorilla, u mine long time 200 billion, no fight gorilla fight-fight win or not win u stand tall unless u short. Can you teach me how to talk in this language? What I find strange is how much James 315 THINKS people are talking about him, compared to how little they actually talk about him. I fly AFK all the time and no one bothers me. Local doesn't even know what the New Order is where I fly. The volume of people playing AFK is FAR greater than this small group can harass. 10M, or just move systems? Easy choice. Yup, it's a big universe and we're a small movement. We'll get there eventually!
" Local doesn't even know what the New Order is where I fly." How do you know that unless you're talking about him? Not sure how he or she knows if she flies afk all the time. Really? You can't figure out how someone who is AFK a lot knows what occurs in local? Would you like a hint? It involves scroll bars. And ... reading. Yeah, pretty much, I know I did that in my brief time in EVE before. Scrolling up and reading that is. Really Rob? Every interaction happens in local? They can't possibly miss something happening in space? What part of "Local doesn't even know what the New Order is where I fly" was unclear to you, Anon @ 7:25 PM? No, every interaction doesn't happen in local. But yes, every interaction I was discussion happened in local. Thus, I used the frame-of-reference-limiting word "local" in the sentence "Local doesn't even know what the New Order is where I fly." See how that works?